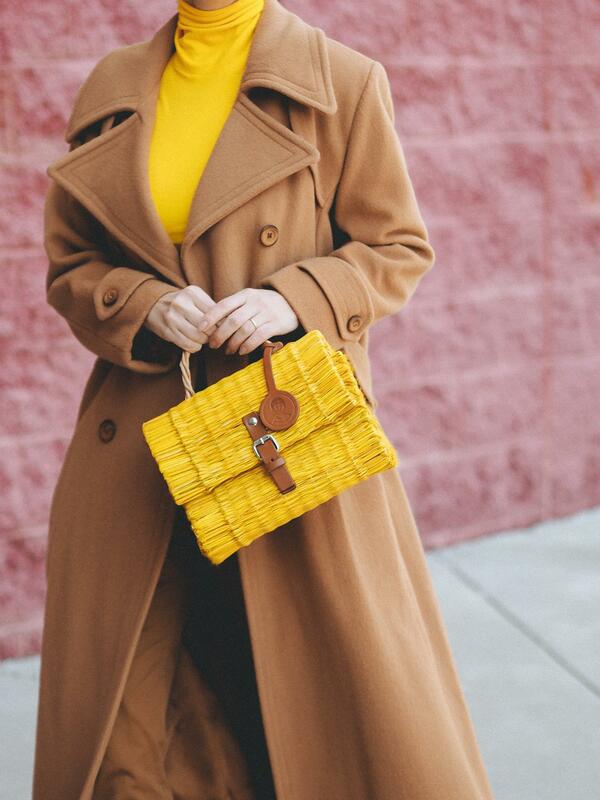 I warned you that I have "color phases" and lately I was into all things YELLOW. Here's one more (in case you want to see another combination). 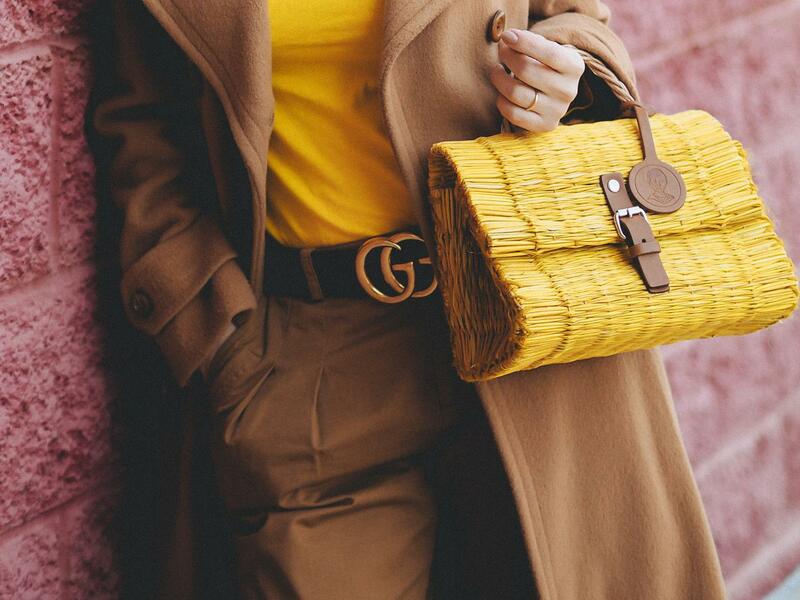 This time Brown & acid yellow, and again I'm wearing a straw bag that matches perfectly today's look and I am sure it will go perfectly with so many Spring outfits. 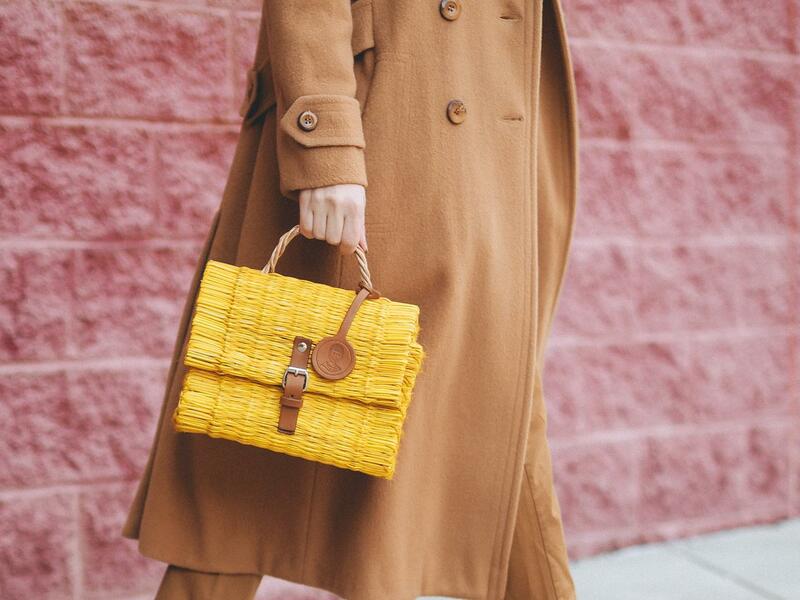 You can't go wrong with a yellow bag and you've probably seen the resemblances with this one worn Here. Yes, they are both from the same designer, and I love supporting his work. Find more of his bags in different colors Here. 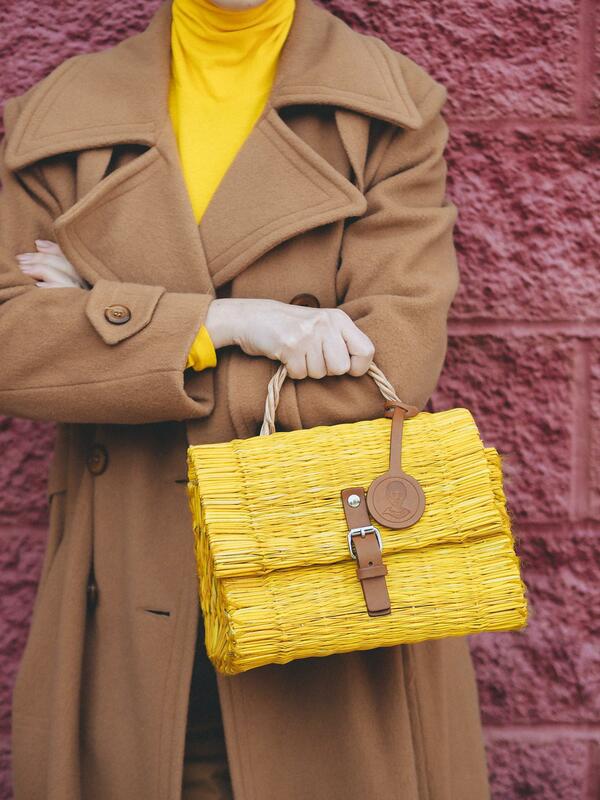 Basket bags are SO wanted now and this yellow one is one of the prettiest around! 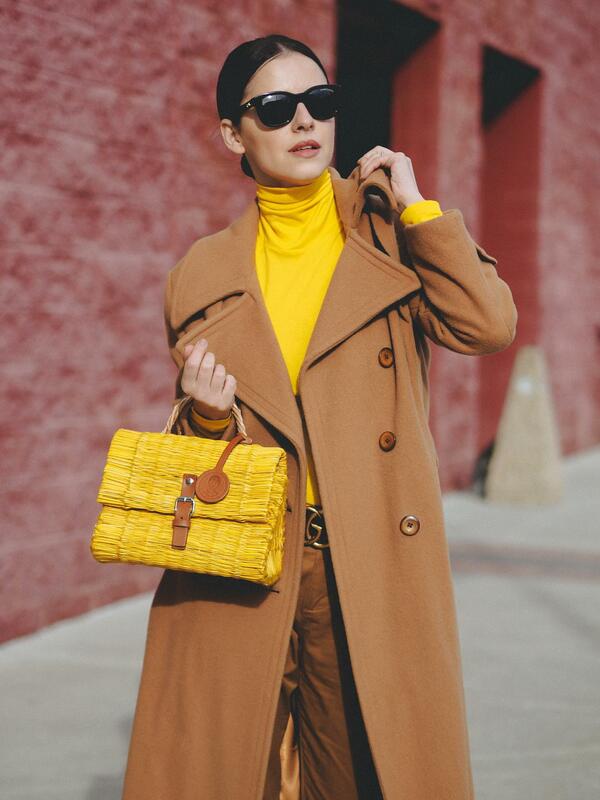 I love the way you’ve styled this outfit! Thank you Natali! Impossible not to love this little cutie :) Have a great Monday! Love the color!!!! anxiously waiting for my Toino Bag. Beautiful blog!!!! I hope you will enjoy it! I really like mines, no exception! You have mixed colours that one doesn’t see combined often and made them look fabulous. I’d happily wear that coat! 😄 I remember Noah and yourself have birthdays around now, sorry I can’t recall the exact dates. Wishing you both many happies! Regards, Deb. Have a lovely week ahead and I hope everything is good with you! Happy Happy Happy Birthday!!!! Wishing you the best!!!!! Thank you very much Eva!! !